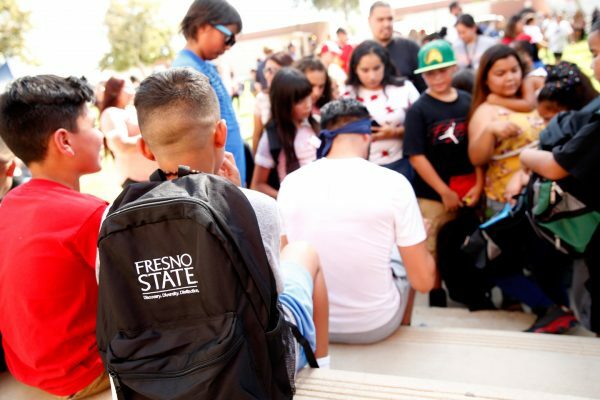 More than 1,200 students at Huron Elementary and Middle schools received new backpacks stuffed with supplies and a letter of encouragement from Fresno State President Joseph I. Castro for the new school year. Fresno State partnered, for the second year, with United Way Fresno and Madera Counties on its “More than a Backpack” distribution Aug. 14 at Huron Middle School in the Coalinga-Huron Unified School District. The University contributed $10,000 to purchase Fresno State backpacks for students in fifth to eighth grades. Chevron, also a partner, provided additional funds to buy backpacks for those in transitional kindergarten through fourth grade. A total of 1,230 backpacks were distributed along with school and art supplies provided through contributions from other community organizations and businesses. The event began with a resource fair and backpack distribution followed by a keynote speech by Castro and special guest Jose Ramirez, the WBC super lightweight world champion boxer. Fresno State’s first lady, Mary Castro, also participated in the giveaway. The “More than a Backpack” event started last year to give back to smaller communities in Fresno and Madera counties that are in need but often get overlooked. While the backpacks are the focal point, the event also gives a little something extra to students. 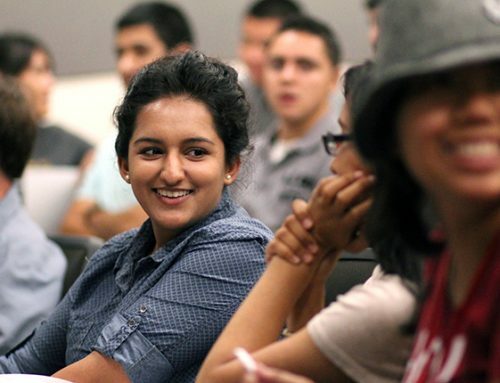 Thanks to Chevron, 160 Huron students will visit Fresno later this year to explore the city. The trip will include a stop at Fresno State. At last year’s event in Madera, the United Way announced it would give a full scholarship to one student to attend Fresno State. We understand that Fresno State has a very powerful reputation in this region for educating our youth in the Valley, giving opportunities for advancement, for careers,” said Mona Cummings, senior director of resource development for the United Way.